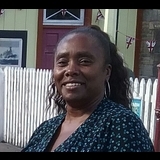 My name is Jennifer Austin-Walker and I have worked within the caring field for over 30 years. I have been privileged to work with various client groups and individuals. As a result, I have gained experience, knowledge and skills which have been invaluable during my career. In applying for this post I look forward to providing the best care and support for the clients with whom I will work. I have experience in residential care and home care for older people where I would support clients with personal care, social activities, having conversations, shopping, paying bills and other activities which they required. The client’s needs and desires were regularly assessed in order to maintain a up to date care plan which would inform the care worker, other health professionals and family. Providing a person centred approach to the work that I do is essential to the wellbeing of people with whom I will work. My approach to life and situations is one of positivity which is something I convey in the work that I do. I encourage people that I work with and care for, to enjoy life. I am self motivated, caring, with integrity and trustworthiness, as evidence by my previous roles.